I need help on the this. I specify the path of the required Images. I have a fabric Image and a base Image and I want it to make or want to shape something like . But I am not getting the exect output. Will you please let me know where I am doing wrong. Please Let me know the correct syntax or commands. Below are the commands which I am executing to achive this. I suspect you got no answer because no one understood what the issue was. It had looked like you got an appropriate result. However, you command lines looks rather strange to me. 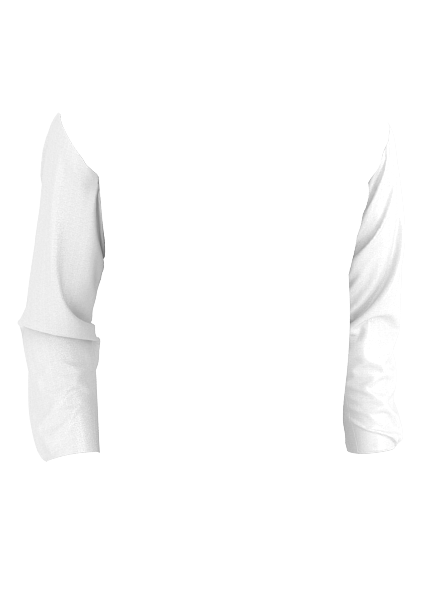 If you see the desired output Image http://dappermen.com/media/swatches/100 ... 2_0000.png In this Image the lines are slightly inclined on the right ( like / ) at top and again slightly inclined on left ( like \ ) at bottom of the sleeve image. So I want that effect, Is that possible or some other logic to get this. Let me know If you got my point or should I explain more on this. You will need a separate 'displacement/distortion' map to the shading image, though they are probably related. How to create a displacement map from the 'pinstripe lines) image is a tricky matter, and using the images given only a sideways displacement can possibly be worked out. I said you need to apply this distortion and then follow it with the other distortion as I showed above. You need to do two separate distortions. You will need to do them separately in two command lines or combine them all into one command line. 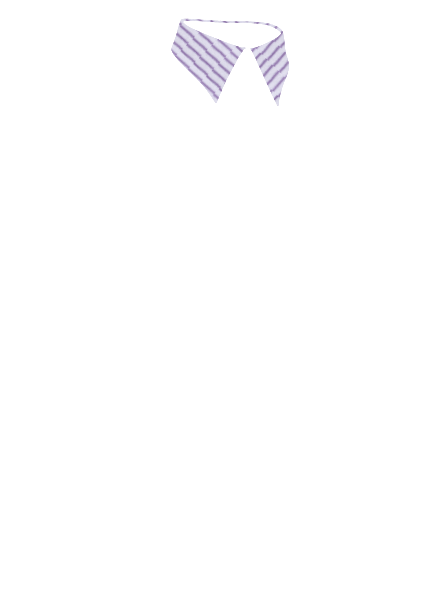 Here is a better version of the current distortion. 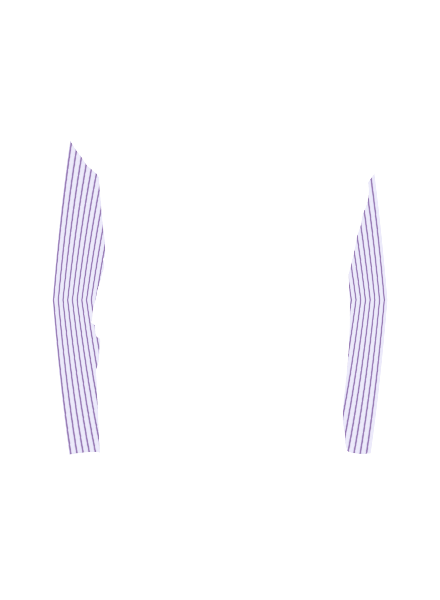 I created the diamond shaped gradient and then negate the right side so that -compose displace can be used in place of the radial -compose distort. This keeps the lines straight so they don't curve. 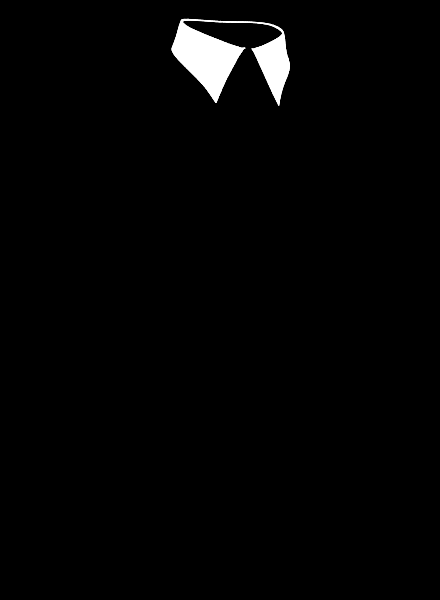 After this you need to apply the earlier displacement using this resulting image as the input rather than the pattern image. You may need to remove the alpha channel first. Here it is all put together. I probably cannot improve this any more. I have shifted the diamond gradient down a litte, so that its center is even with the elbows. Please let me know If there is any other chance to improvisation. Or let me know where I can make the changes in the command So that I can make some iterations at my end to get better output. But I appreciate you really helped me. Thanks again. Try this. You can play with the parameters marked in blue. 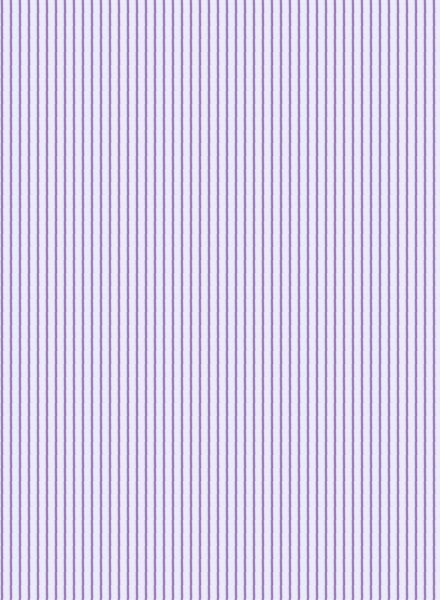 However, by decreasing them as I have done, it makes the lines less distorted and more straight. Some of blurriness is a limitation of the IM displace function having limited anti-aliasing in its resampling and there is no current ability to adjust it as far as I know. I replaced the two -scale functions with the better -resize (see the red). That helps fix much of the blurriness. If I change -100x-100 to -50x-50, it helps a little but makes the bending at the elbows less and the lines are a little further apart. From here, you will have to just try different arguments. I really do not know how to improve it any further. Now that you have a technique, run it on a greyscale gradient, and generate a absolute distortion map for that set of arms. Then that distortion map can be converted to a displacement map (if wanted). that will simplify ans speed up the the running process for any 'vertically striped' fabric, for that overlay. 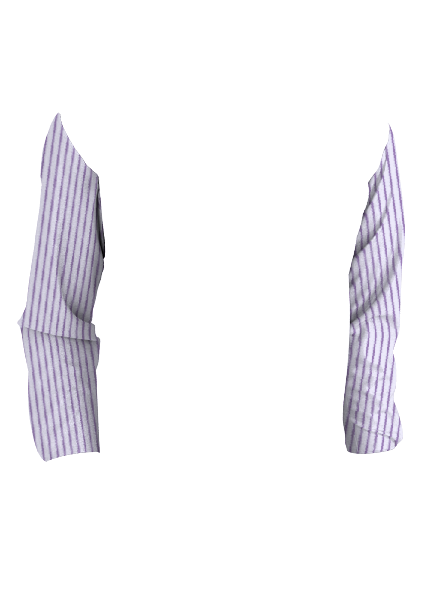 The map, shading and mask, can all be stored in a single image..
You will need to generate a distortion map with the rotations you want on each side of the collar. and at the back. I would start with working out the mapping for some specific points, then smooth the X,Y image maps around those points. Alternativally, get a 'collar pattern' from a dress makers plan, and use that to determine source coordinates (on the texture. While using your final image to determine the destination coordinates for the same points. 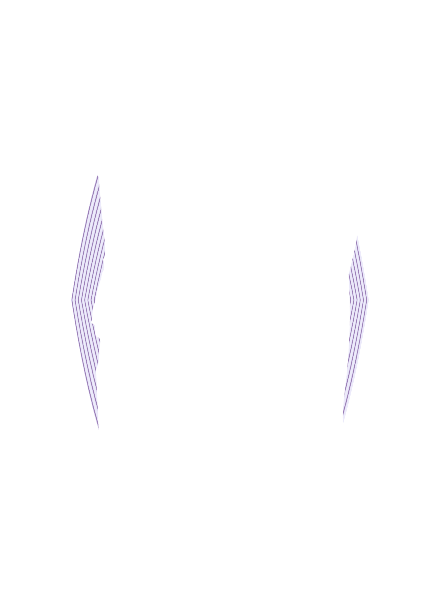 Preferably at a larger scale, so that you get good anti-aliasing by shrinking the image after the distortion mapping. Here is rather awkward way to do it. But it is certainly one way if you do not have a good high quality new pattern. I have outlined the steps one by one, but you can combine many of the steps into one long command line. fmw42 wrote: Here it is all put together. I probably cannot improve this any more. Can you please tell me its version problem ya anything else.